Merton Books, now a triple faceted enterprise, was founded over 30 years ago by the late Mrs Amelia Nathan Hill. It was originally her own small bookshop in Wimbledon. But she suffered grievously from chronic illness. A multi-allergy sufferer from childhood, at a time when allergy was unknown by the general public and unrecognized by most medical professionals, Amelia eventually found a pioneering doctor who helped her to track down the foods and inhalants that triggered her illness. As a result, in 1978 she founded the national charity Action Against Allergy (AAA) with the help of her friend Aeronwy Thomas, daughter of Welsh poet Dylan Thomas, with the aim of raising awareness of the need to help others and raise funds for research. Her book describing her allergy experiences, Against the Unsuspected Enemy, was published in 1980 and as a result Amelia was deluged with thousands of letters from other sufferers who could get no help. Merton Books imported books from all over the world about clinical ecology, as allergy diagnosis and treatment was then called, and began a postal lending library (now closed) for AAA members, which subsequently developed into a mail order business. This continues today, offering titles which provide help with special diets and information on the whole spectrum of allergy and allergy-related illness. When chronic illness and advancing years forced Amelia to consider discontinuing Merton Books in 1990, she passed it on to Patricia Holt Schooling, a public relations consultant with experience in the book industry and publishing, who had been helping Amelia with Action Against Allergy. Patricia established Merton Books as a division of her independent business, Holt Schooling Public Relations, and took it to its next stage – as a small publisher in its own right. The first title was Eczema and Food Allergy – the Hidden Cause? – by Jennifer Worth, first published in 1997 and now in its third reprint. 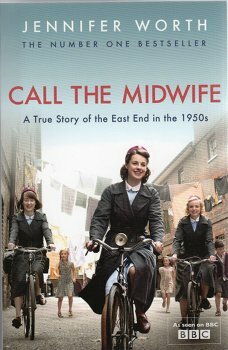 Merton Books later acquired the now globally famous trilogy, Call the Midwife*, being the first to publish this and Shadows of the Workhouse*. Merton Books has also published a number of booklets, notably the best-selling How to Eat Well Again on a Wheat, Gluten and Dairy Free Diet by Fran Crosthwaite (1998 and reprinted five times) and A Daughter Remembers Dylan by Aeronwy Thomas (2006). In February 2014 Merton Books became an independent entity, registered as a private limited company.